It was pancake Tuesday and I hadn’t planned very well. The kids were ok with the higher carb everyday pancakes but there was no way we could do it unless we wanted a huge spike after eating. I knew I had some zucchini’s in the fridge and some cheese and voila, we now had low carb pancakes that were delicious and went really nice with some breakfast sausage. Be sure to “sweat” the zucchini to help remove a lot of the water so the pancakes are not mushy. The recipe is the same as that of the zucchini noodles and can be viewed HERE. These are high in protein, low in fat and only 2 Weight Watchers points per serving. Sweat out the zucchini as directed in the above mentioned link. 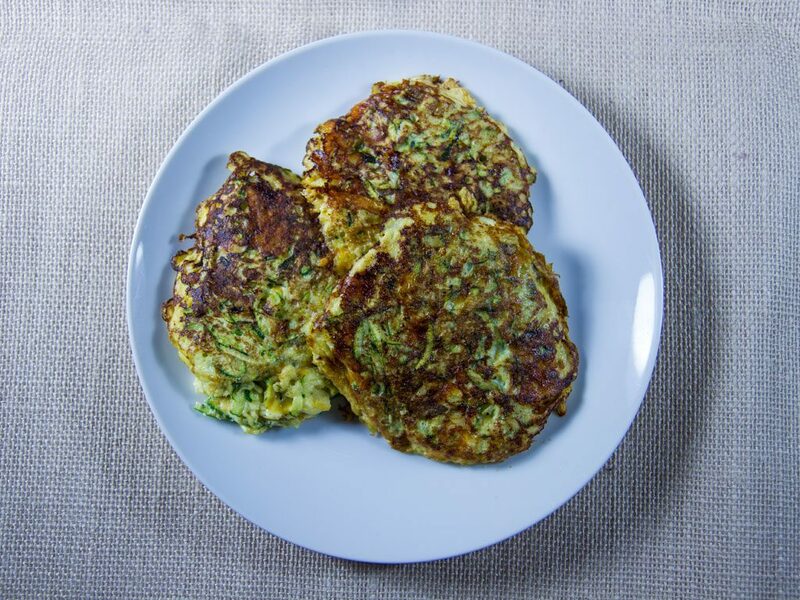 Mix Parmesan cheese, nutritional yeast flakes, eggs, green onions, garlic, basil, nutmeg, onion powder, and black pepper in a bowl; add zucchini. Stir to combine. Heat olive oil in a frying pan over medium heat. Scoop golf ball-sized zucchini mixture into hot frying pan. flatten slightly and fry until browned, 2 to 3 minutes per side.